For the past year we have been actively hiring. Since we are not officially educated HR, we went old school and let our core values, gut instinct and former experience guide us. In this article, we want to help you (the candidate) do your best. So here are our top DOs and DON’Ts regarding job interviews. DISCLAIMER: any resemblance to actual people, living or dead, or actual events is purely non-coincidental. People often think that coming early is a good sign and it is…to some extent. Coming 5 minutes early is the earliest you should come, everything above that is as rude as being late. Take into consideration that you might not be the only candidate, that the interviewers are busy and the fact that you showed up 20 minutes early is putting the pressure. Even if the interviewers are letting you wait, keep in mind that maybe your presence is disturbing other employees. Just be on time, it’s as simple as that. When you think of the most zen-like people in history, none of them actually kept their cool at all times. Sometimes you hate your boss or that colleague that chews loudly and starts playing Christmas songs on November 1st, and that is ok….However don’t tell that to your interviewer, nor your hairdresser, or your bartender…(there are people who are actually paid to listen to that). So maybe this isn’t your first job, you need a change, former or current company is not living up to your expectations, there are so many different scenarios. Of course, the interviewer wants to know the reasons, so…be factual, not emotional. Expressing negative emotions and talking ugly doesn’t leave a good impression. Don’t be a troll. Please don’t brag. Nobody likes braggers. We understand that a person might be proud of their projects or milestones, but there is a fine line between talking about your expertise and bragging. People like to be surrounded by people who are down to earth (at least we do), so don’t be the person who evokes eye rolls, don’t be Dwight Schrute. Never, ever say (can’t stress this enough): “I know nothing about your company”. Your grandma probably has Facebook and people can find things out about her, so there is no chance that you are applying for a job at a company you can not find any info about! Dig, explore and read about your potential employee. All the info you gather can only help you. You will understand the culture, values and the mission better. By being prepared, you are showing that you are here to get that job. Please don’t be vague, we have politicians for that, we don’t need it from a candidate. If you don’t know something, just be honest and say it. We don’t expect you to know everything. Moreover, interview questions are usually very clear and can be answered only with straightforward, clear answers. Quibbling about it is not helping. Job ads usually contain most of the information that the company thinks an applicant should know. 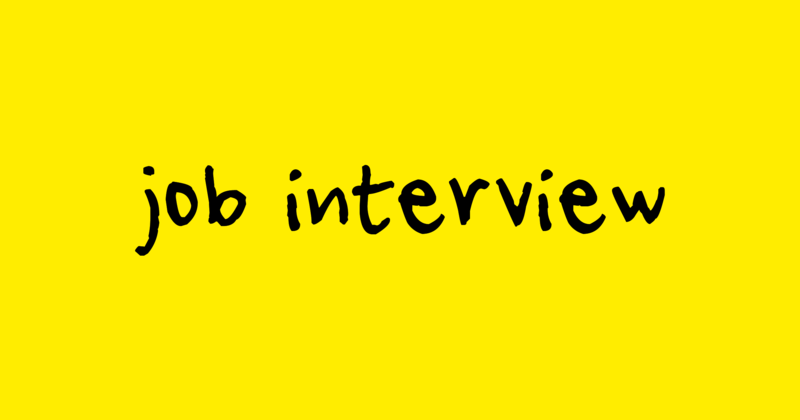 However, if you find something unclear or you want to find out more prior to the interview….feel free to ask. We all know that having some questions prepared for the interview is a good thing, right? Not necessarily. You are not Louis Theroux, and that is ok. Sometimes during the interview a lot is covered, so if in the end you don’t have any questions, that is OK! Don’t ask questions for sake of asking. Furthermore, prepare your questions well, think about what you really want to find out, not what kind of question would your interviewer like. As mentioned before (Don’t come unprepared), do your homework. By doing that you will also be more realistic (see above). Find out if the company fits your needs (size of the company, technologies, projects, mission, vision, etc.) By randomly applying to any company you are not only wasting the interviewer’s time, but your own time as well. 10 minutes of research can do wonders for your choices and preparation for the interview. While “hunting” for a job the whole process sometimes ends up looking like an episode of The Bachelor. There are so many companies you like and you want “a date” with as many as you can, and hopefully one of them “falls in love” and there is a happy ever after. The interviewers can “smell” your honesty as soon as you enter the room. In short, it is better to choose fewer companies and really go for it than behave like it is a Black Friday sale. Sometimes you can’t make it on time, you have to reschedule or even cancel. Make sure you let the company know on time, be mindful and respectful about the interviewer’s time. Always be yourself. By faking it you are doing the damage only to yourself. If you are quirky, nerdy, have weird laughter, you are a night owl or like Nickelback, just embrace it & rock it. The right employer will recognize your honesty and accept who you are. Remember, you will be spending around 40 hours a week in that office, make it worthy. Sometimes you will have a remote interview, and if you know that your connection isn’t the best or your neighbour might change his password (that you successfully hacked a few months ago), make sure to go somewhere where you can avoid difficulties. We understand you have kids, dogs, cats, family, etc. however, be aware that the video call interview is as legit as sitting in the room with your interviewer. Make sure you are setting the camera right. The interviewer doesn’t find it nice to only look at your forehead, half of your face or you being upside down (unless you are Cirque du Soleil candidate) for the whole interview. We hope this will be helpful for our future candidates (check out our vacancies here) and for anyone looking for a job. BE yourself, be prepared and have a positive mindset.